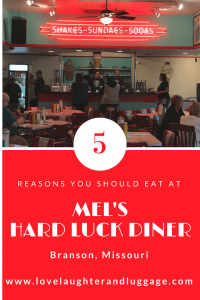 Thank you to Mel’s Hard Luck Diner in Branson, Missouri, for sponsoring this post. As usual, all opinions are honest and my own. Branson, Missouri, is known for music shows along the main strip and family fun. What if you could eat somewhere that also combined the best of Branson? Mel’s Hard Luck Diner does just that! Not only will you find yummy treats, you will also be treated with musical entertainment. After a busy morning on our recent trip to Branson, we needed to refuel. 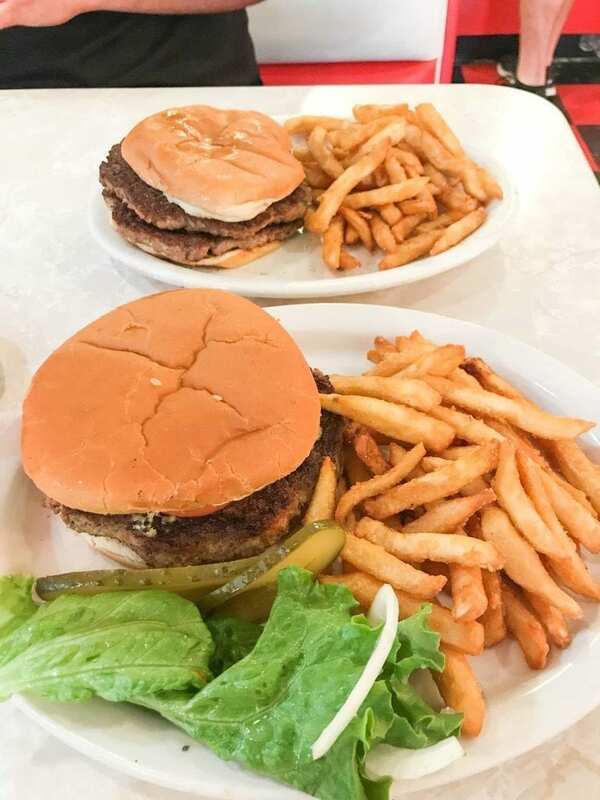 We decided to stop for some classic diner food at Mel’s Hard Luck Diner located in the Grand Village Shopping Center on the 76 strip. Once you pull in, Mel’s Hard Luck Diner is towards the front and to the far right of the complex. 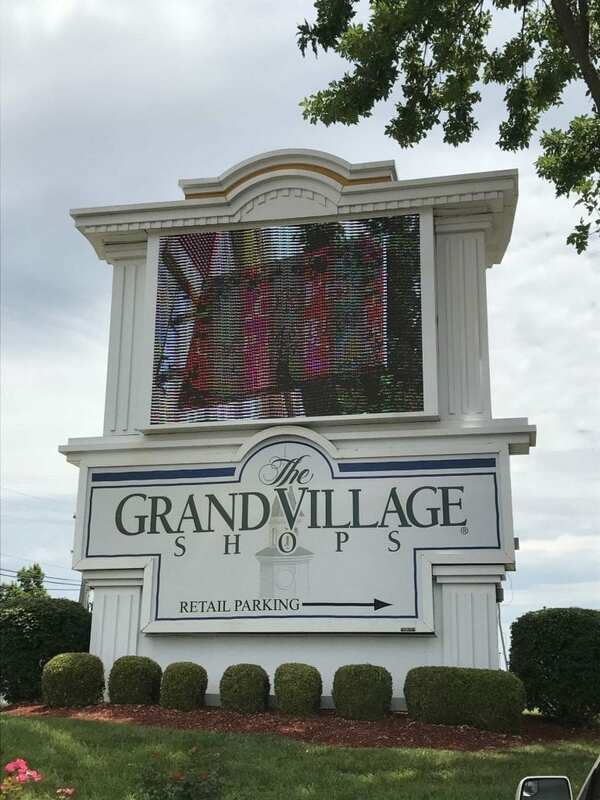 It is right across the lane from Kringles’ Christmas Shop, which is a pretty large store that you can’t really miss. 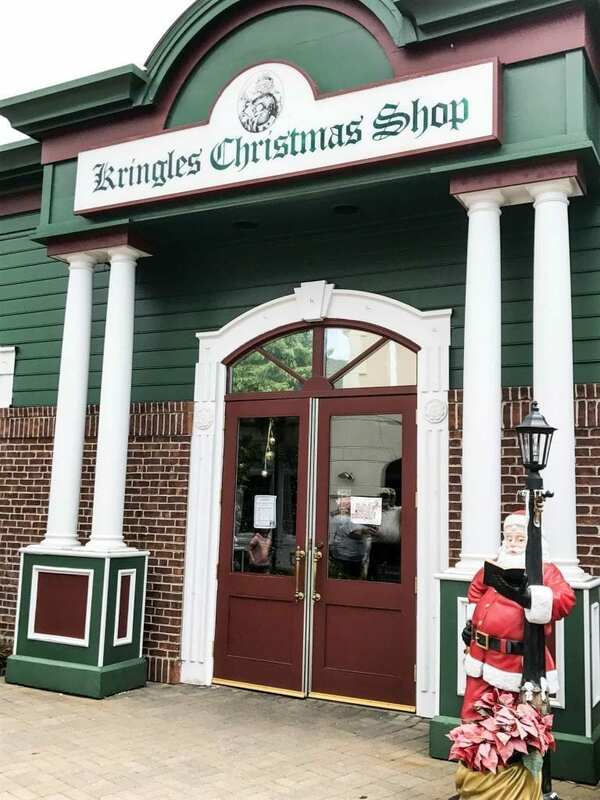 It’s also a great place for Christmas addicts like me to get a little Christmas fix in the summer. We had a fabulous time! 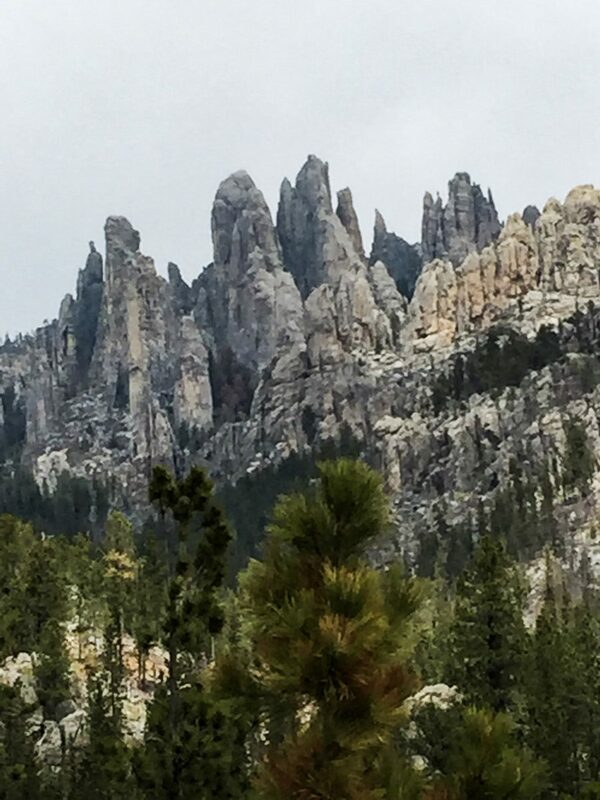 Here’s why you should go and have a fabulous time, too! 1. 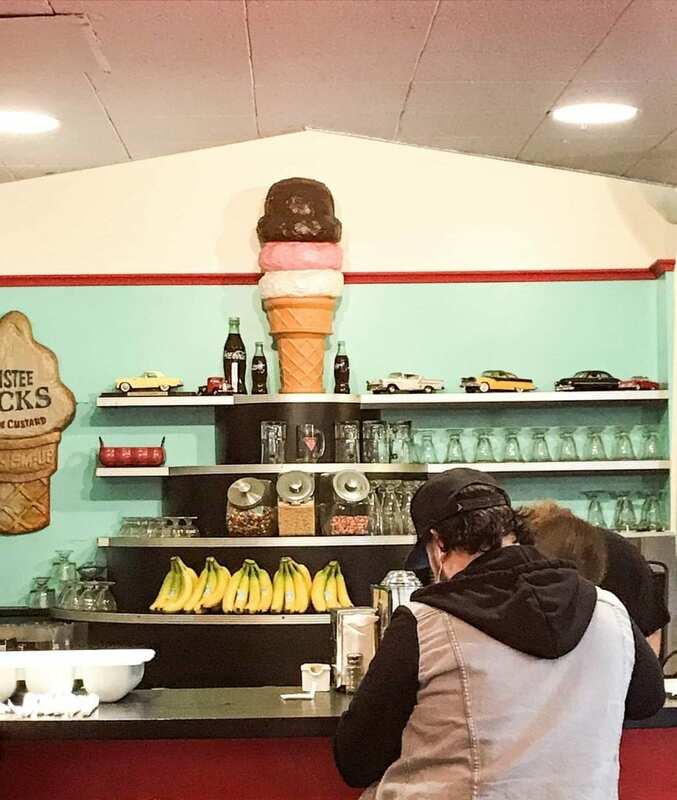 Mel’s Hard Luck Diner offers classic diner food at its best. If you are looking for some made-to-order classic hamburgers or onion rings, this is the place. We ordered hamburgers, and they were fresh and hot when they arrived at our table. If you know my family, you know I live with the two pickiest eaters on the planet. Jeff ordered his hamburger as a double, but absolutely nothing else. He didn’t even add ketchup, but he will use ketchup for the fries. He loved it! I had my hamburger with everything. In the picture, I added some of the condiments already. My hamburger came with lettuce, onion, and pickles. It was mighty tasty. Ketchup and mustard were on the table, and mayonnaise was offered. The burgers were served with fries. These were better than many typical fries at diners. They had a yummy coating. I, of course, asked for Ranch dressing for dipping, and the Ranch had a nice flavor. 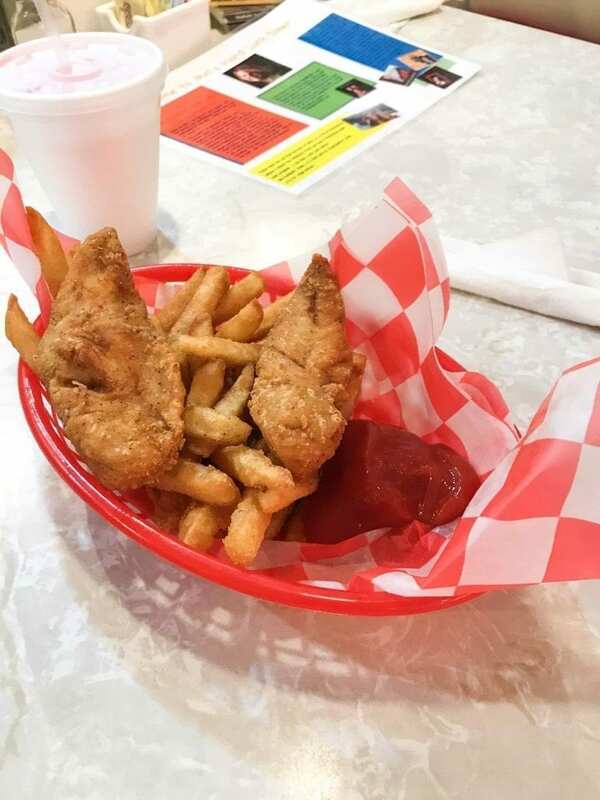 Kristin, the other picky eater I live with, ordered her standard meal when eating out–kids’ chicken strips and fries. It was just the right size for this seven-year-old. She’s been going through a phase where she hasn’t been eating fries. But after some coaxing, she tried these fries and really liked them. 2. They have a soda fountain for making ice cream treats. 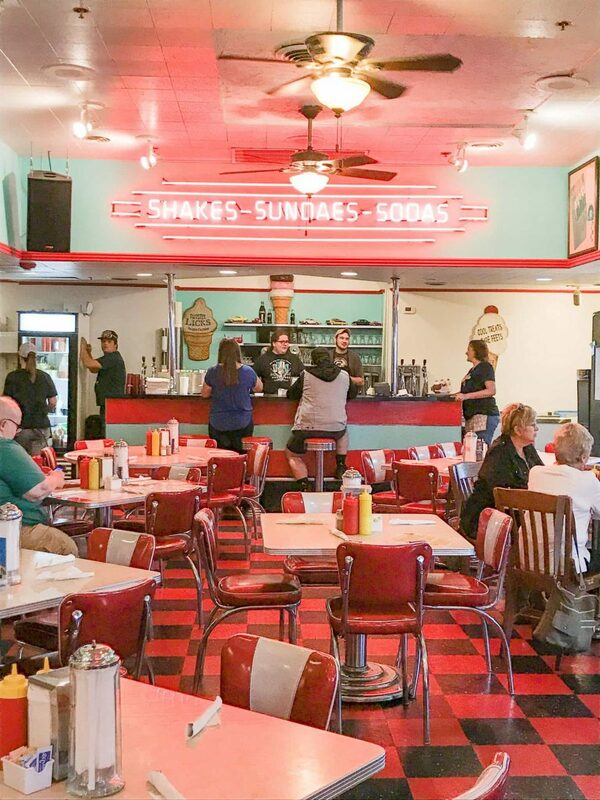 You can’t have a classic diner without a soda fountain, right? Mel’s has a great one. As we were sitting and waiting for our food, Kristin and I came to the realization that we should have a chocolate shake with lunch. We were thinking we would have some ice cream for dessert, but why wait? 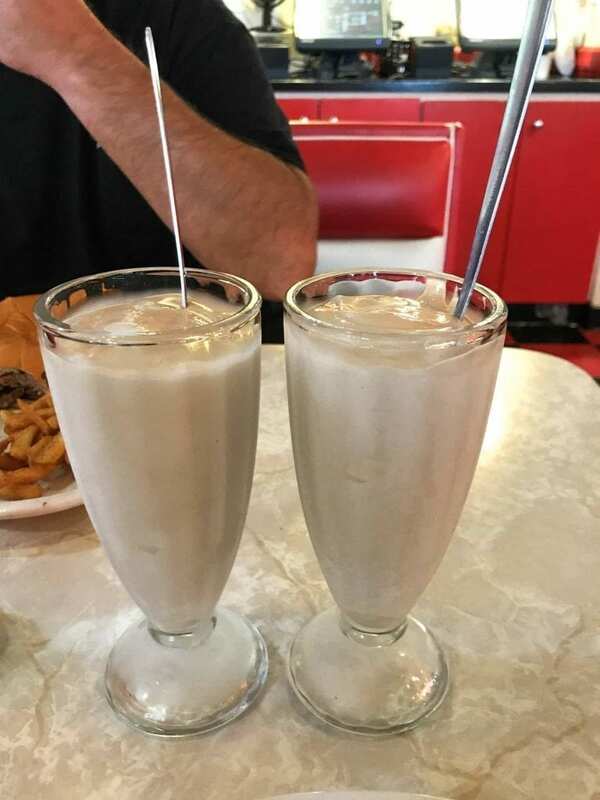 When our server came back, we ordered a chocolate shake to share. And it was huge. And it was delicious! Our server split it into two glasses for us. It was so thick we needed spoons! The soda fountain area is really adorable, too. Just look at all of the bananas waiting to become banana splits! 3. The servers sing while you eat. Yes, you read that right. The premise of Mel’s Hard Luck Diner is that these performers have fallen on hard times and need to earn some money. So, they wait tables while singing, hoping for better times! It’s a really fun idea. We had a placemat on our table that told about our server, Stephanie Taylor Diaz. 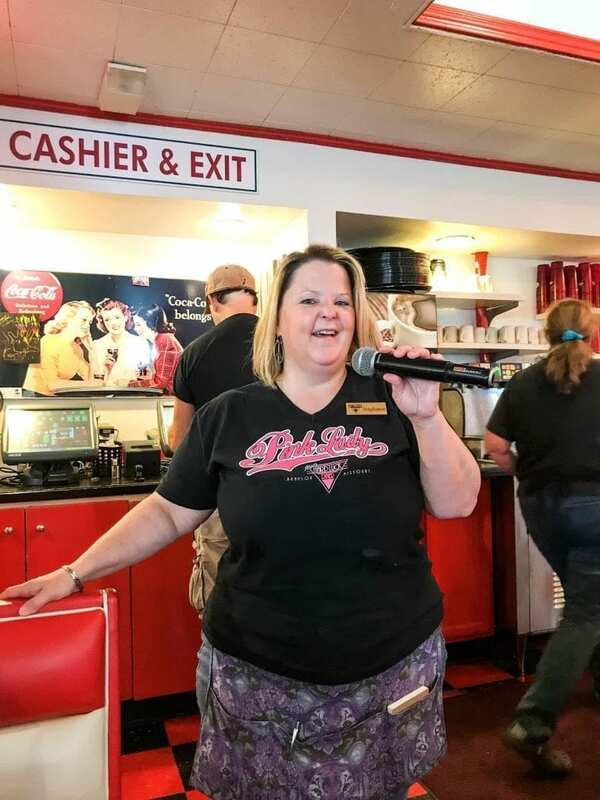 When it was her turn to sing, she walked around the restaurant singing with the wireless microphone. 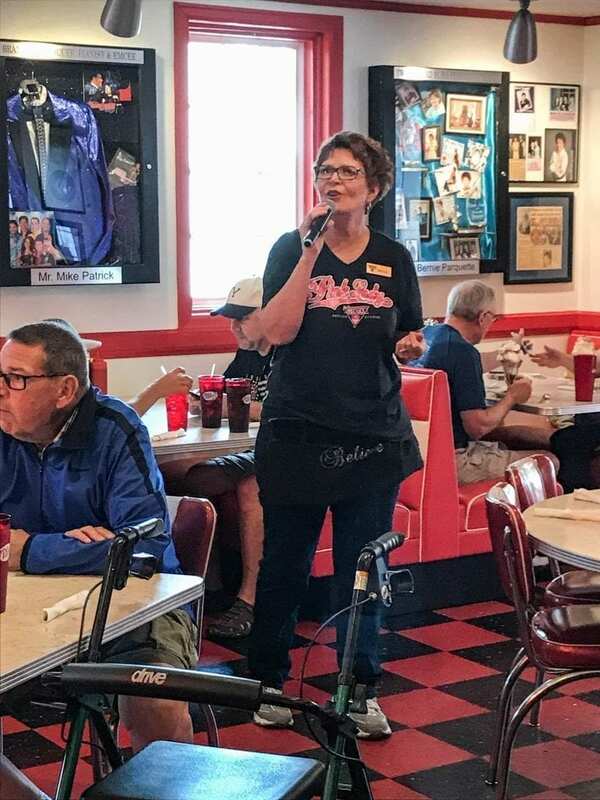 The servers walk all over the diner so that everyone gets a chance to see the server sing. Here is our server. All of the servers take turns singing, and they must audition for their jobs. Here is another server taking her turn. It’s a great way to hear some solid vocals. Some servers have singing gigs elsewhere in Branson, and one was even on American Idol! 4. The nostalgic 1950s vibe is a great experience for everyone. 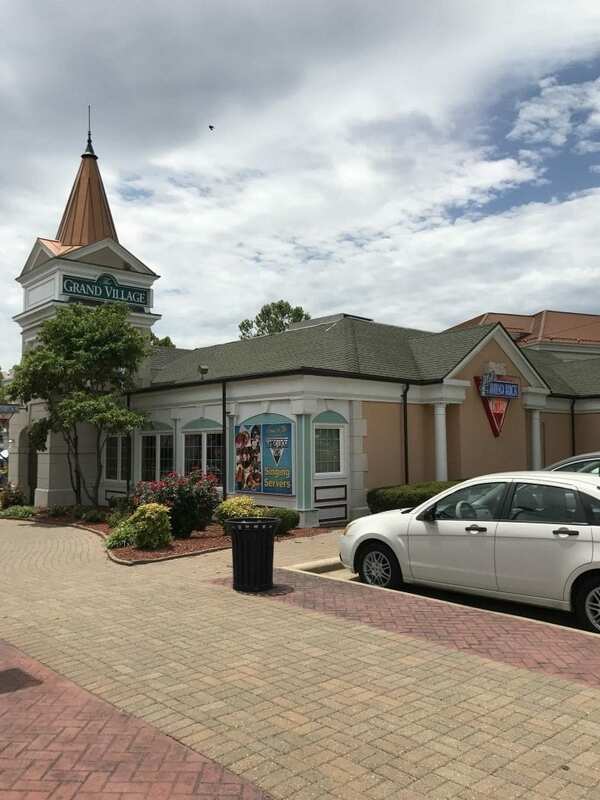 This restaurant is fun for families who want a unique experience or for those who want to take a walk down memory lane to remember the soda fountains of yesterday. If you have young or school-age kids, I guarantee that roaming singing servers will grab their attention. And if there is a promise of ice cream, they may be on their best behavior! There are also displays throughout the restaurant of famous singers and memorabilia. And if you are a Coca-Cola fan, you’ll enjoy the decor. 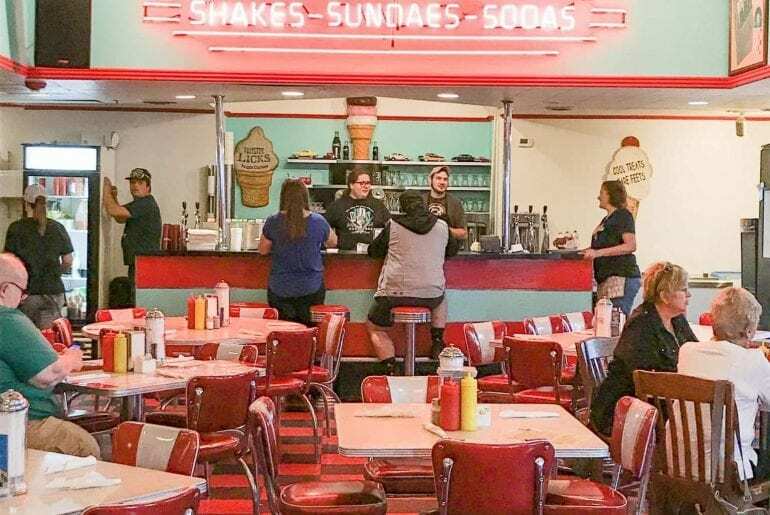 We saw all ages in the diner on our visit, and everyone seemed to be enjoying the food, servers, and nostalgia. 5. Even though your server is busy, the service is fast. Don’t worry that your server may be too busy singing to take care of you. Somehow, the servers manage to sing with a smile and make sure you have everything you need. Our food arrived at our table fast and hot. When we added our chocolate shake, it came out quickly. We didn’t have to wait for anything, and our reasonable requests were granted cheerfully! The servers also gathered to sing for two birthdays while we were there. I’m telling you, these servers know their stuff and they are on it! I highly recommend a meal at this place when you’re in Branson. 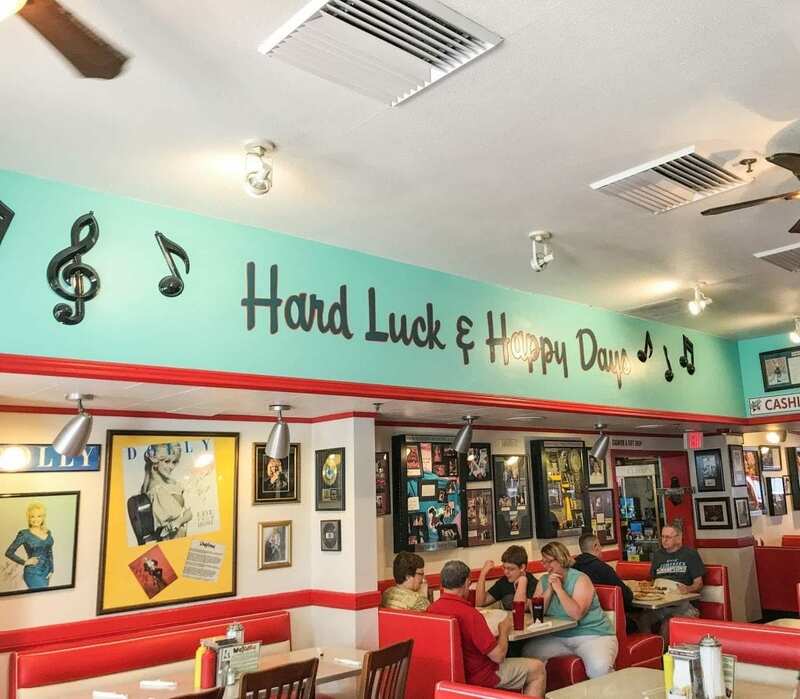 They even have a fun little gift shop on the way out where we purchased our magnet to put on the fridge.Classic food, talented singing, and great atmosphere–you can’t go wrong at Mel’s Hard Luck Diner! I can’t really pass up a great burger & shake! Not to mention a fun environment! We will have to look into Mel’s when we travel that way! Those burgers look amazing! 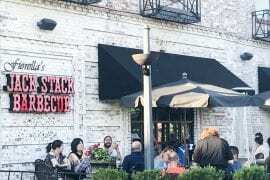 This place looks fun and the food looks great. I will definitely have to give it a try. You should! It’s yummy and fun! It is really funny thinking the waiters singing ? Yes, but they sing well! I love this!! If we are ever in the area, this will be a must-stop with my girls. They love Ellen’s Stardust Diner in NYC, which is very much the same idea, so they would be thrilled to be surprised with another fun place. Great tip, thanks! I will have to look into Ellen’s Stardust if I ever take the family to NYC. I went to NYC last summer with some students, but I wasn’t the planner. 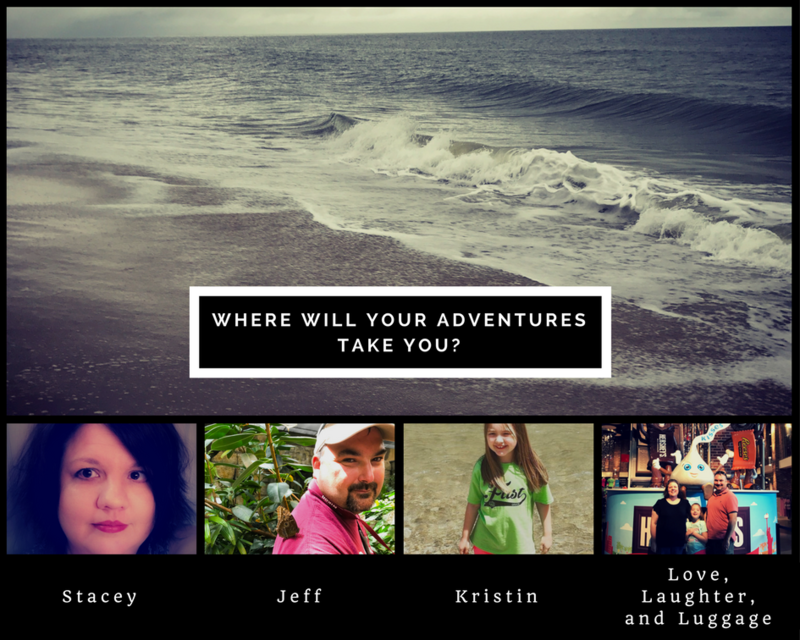 I’d love to just go with my family and do whatever! I love these types of places! 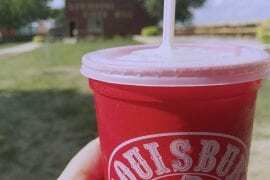 That shake looks really yum although I can’t drink those before eating! We had a spoonful here and there while eating, but we didn’t even get halfway through those! The singing is really fun! I love diners! 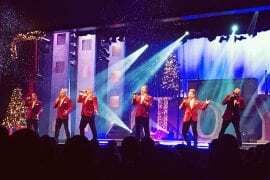 If I am ever in Branson, I will check it out! Great! You won’t be disappointed! I love a great Diner and with singing servers, that is awesome! It really is a fun place to eat!